On Wednesday 29th Novemeber, Mick Antoniw, Assembly Member for Pontypridd led a debate at the National Assembly for Wales on the growing scandal of cavity wall insulation mis-selling. Mick Antoniw was joined at the Assembly by victims of mis-selling from Pontypridd and Taff Ely and by Pauline Saunders of victims’ support group CIVALLI. “Cavity wall insulation mis-selling affects thousands of people across Wales. I have been contacted by people from all parts of the constituency including Llantrisant, Rhydyfelin, Tonyrefail and Church Village about inappropriately or poorly installed cavity wall insulation, which leaves some families – often those in the poorest communities – to live in damp and mouldy conditions. “There are numerous problems with the cavity wall insulation industry including mis-selling by unqualified people, poor workmanship and the lack of any robust UK Government oversight, which means victims can’t get fair redress or compensation. “After a long battle with CIGA, the insurer, I went to appeal and won my case. Unfortunately when CIGA extracted the insulation they did significant damage to the render on my property, making the damp problem even worse. “Mr Gray and Mr Bowen’s cases are not at all unusual. CIGA, the organisation that handles complaints was set up by the cavity wall insulation industry and the directors of cavity wall insulation companies sit on the board. CIGA is grossly under-funded, with reports suggesting that they are able to meet the cost of less than a thousand of the six million guarantees they have issued. Is it any wonder that their complaint rejection rate is so high? “Cavity wall insulation mis-selling causes misery for thousands of families across the UK, but in Wales we have an opportunity to stand up for victims, many of whom are from poorer communities, are older or are in ill-health. The Welsh Government must speak up for the victims of mis-selling. Did you even know, there were different exposure zones? The exposure zone and wind driven rain is important when assessing Cavity Wall Insulation (CWI) issues, the more a property is subject to wind driven rain, so damp walls, condensation and mould is more likely. You can see from the map image the approximate amount of wind driven rain, with a changing climate who is to say that these amounts won’t change? Properties along the coast particularly the West coast do bear the brunt of what the Irish Sea or Atlantic can throw at us. Other coastal areas too, can suffer when the weather is giving us a blustery soaking. Exposure zones can be localised, properties built at the top of a hill are likely to be affected more than those at the bottom or those snuggled in between, but those with an open aspect, front, back or sides, not even a Storm Doris need rage to create issues in properties fitted with CWI. The numbers of people becoming aware that the mould or damp within their home could be due to the fitting of CWI is increasing daily and help is here. We are experts who help homeowners get compensation for the damages caused by wrongly installed Cavity Wall Insulation. Call us today for a friendly, no obligation chat, tell us what issues you experience so we can establish what would be the best solution for you, we can work together to reach the perfect solution. Steel and timber-framed houses should not be insulated with cavity wall insulation. This is why. Both timber and steel need air circulation to prevent rot or corrosion. Many of us will live in houses that have suspended timber floors, and will be aware of the air bricks strategically laid at damp proof course height. These air bricks allow air to circulate underneath the floor joists preventing rot developing and keeping the timbers healthy. The same practice is required inside the cavities of timber and steel-framed houses. Fully insulating the cavity with a retro blown cavity wall insulation product increases the risk of condensation forming and being trapped against the frame. With timber framing, this might lead to wood rot; with steel it will result in corrosion. Proof then that some Cavity wall insulation installation companies don’t know what they are doing. Insulation has been fitted to timber framed properties to our knowledge as recently as April 2017. We are also aware of steel framed properties on housing estates, where many house have had insulation fitted and some where the homeowner has already had the insulation removed. Mortgage surveyors are becoming increasingly concerned about surveying timber or steel-framed properties and will put caveats in their reports to protect themselves. Mortgage lenders will not lend on a timber framed house that has had the cavity between the timber frame and the outer skin with thermal insulation. If you live in a timber or steel-framed house and it has cavity wall insulation. You must get in touch with us now, we can help. Call 0161 674 9516. What do John Denham MP and Hywel Williams MP have in common? Yes, I know they are both MP’s; you will have to work a bit harder than that! Got it? No, well I’ll tell you. These two gentlemen are shouting as loud as they can, to wake up the government and those associated with the cavity wall insulation industry, to the massive issues that growing numbers of homeowners are experiencing in their homes. Or monstrous amounts of unhealthy, black smelly mould. Costing £000’s to put right! Would you want it? Not likely! Despite the MP’s efforts, they are banging on a closed door. The majority of installation companies have gone out of business. Those issuing the guarantees for the workmanship of these companies are not fit for purpose. If they can blame you for the damage, they will. Yet still today, insulation is being installed wrongly and into homes that shouldn’t have cavity wall insulation at all. Leaving some homeowners sitting on a time bomb! Do not assume the damp in your home is due to the need for a new damp proof course, new guttering, new rendering, or that there is a leak. Don’t continue to apply damp busting paint or any other fancy do dah, which claims to eradicate damp. Yes! Stop right there. Did you have cavity wall insulation fitted? You did? Then this may be the answer to why you now have damp in your home. Now, you aren’t alone, there are many in the same boat. Family of ‘yours truly’ was once. Getting help to sort out the problems is here. We can help. If you live in a stone built house and have had cavity wall insulation installed on a scheme where you had it fitted ‘free’. The likelihood is that the insulation is a type of expandable foam that is put into the cavity under pressure. You may have been told before, that cavity wall insulation wasn’t possible in your house because of the irregular stone sizes. Then along comes a firm saying that their type of insulation is suitable. If fitted properly the insulation will do its job. If the workmanship was poor quality your home could be badly affected with damp and mould, leading to expensive future repair costs. If you did have this type of insulation installed, and you now have damp patches on your walls, or there are areas of black mould, has the wallpaper started peeling from the wall or the plaster has bubbled and damaged? Did you have this problem before? If you didn’t there is a strong chance that the expandable foam insulation is causing the problem. If you have the problems mentioned, contact us today we have solicitors waiting to work for you on a NO WIN, NO FEE basis. Solicitors are winning enough compensation to have the major work repaired and save you a lot of future hardship. CONTACT US NOW, OR COMPLETE THE CONTACT PAGE AND WE WILL CALL YOU, DO NOT DELAY. MOULD in your house is bad for your health. This is one sign of black mould that ‘almost guarantees’ your house is infested with the dangerous spores and fungi. Express.co.uk explores damp mould on walls and how to get rid of mould. Black mould can cause a range of health problems, which can be very problematic. The NHS says “if you have damp and mould you’re more likely to have respiratory problems, respiratory infections, allergies or asthma. Whether you rent or own your home – make sure you are living mould free to avoid the unpleasant side effects and potentially long term health problems. Toxic black mould is also known as ‘stachybotrys’, and is usually associated with poor air quality in the home. Website Home Guides has claimed that a smell can indicate whether black mould is present. “To tell if black mould may be growing in your home, just follow your nose,” the website says. Black mould smells especially strong, so a strong odour is the first clue that a house needs to be inspected. Visually black mould also looks a little different to other kinds of mould – which also pose health problems though maybe not as severe. “Stachybotrys is usually greenish-black and somewhat slimy or wet, but may also appear grayish with a sooty, powdery texture,” the website says. No matter what the mould in your home looks like, the website always recommends having any mould removed. The NHS adds: “Some people are more sensitive than others, including babies and children, elderly people and those with existing skin problems, such as eczema. “Moulds produce allergens (substances that can cause an allergic reaction), irritants and, sometimes, toxic substances. How do you get rid of a bees nest in your home? There are different types of bees in the UK, all of which may require different treatment methods, and sometimes you have to act quickly to avoid damage to your home. Inappropriate cavity wall insulation in homes has become “a scandal”, a Welsh MP has said. 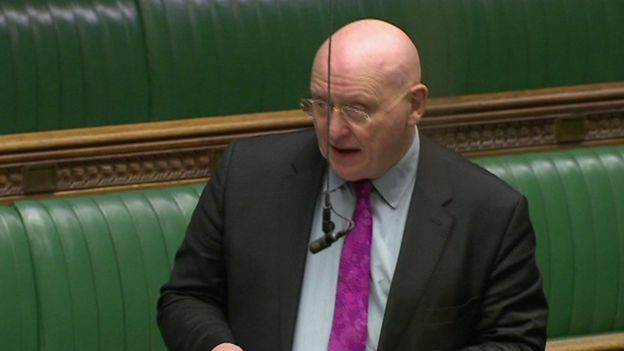 Arfon MP Hywel Williams claimed millions of homes had the insulation installed by successive government-backed schemes which has led to damp, mould and condensation. He called on the UK government to take responsibility for the “dreadful mess”. The UK government said it was committed to ensuring consumers are protected. The Welsh Government said it has been working with partners, including the UK government, to address the issues and improve the system. The insulation is meant to make homes warmer and more energy efficient but if installed incorrectly, or in unsuitable properties, it can lead to damp. Driving rain is also a problem, especially in Wales. Mother-of-three Anna Phillips from Barry, Vale of Glamorgan, started having problems in her three bedroom home seven years ago after buying the property in 2004. Cavity wall insulation had been installed by the previous owners. Ms Phillips said damp started coming through in 2010 and the insulation was removed early last year after she contacted the industry-funded guarantee organisation Cavity Insulation Guarantee Agency (CIGA). “It was soaking wet, absolutely drenched. It took them two days to take it all out due to how poor it was,” she said. The mental health support worker said heating bills were higher as the mould and damp had affected the whole house and she believed it had impacted on her family’s health. Speaking about her three children – aged 11, nine and four – she added: “They’re poorly all the time, two suffer with eczema, their chests, they’re continuously coughing, it’s freezing. “You can have the heating on all day in this house and you don’t feel it, you really don’t”. Last year, a report by the construction research organisation BRE concluded there should be a nationwide survey of the problem in Wales. According to the investigation, about 900,000 homes have been built with cavity walls. Mr Williams will be debating the issue in Westminster on Wednesday and said he was currently dealing with 60 cases in his constituency. He has called on the UK government to find out exactly how many people have been affected, rectify failed installations and provide proper compensation. “The scheme was pushed as a free scheme with the backing of the government which would save people £250 per year or so in their heating costs and clearly older, people with disabilities and poor people actually took advantage of it because of the obvious hard sell,” he said. A spokesman from the UK government’s Department for Business, Energy and Industrial Strategy said: “The government is committed to ensuring that consumers are protected when choosing cavity wall insulation. A Welsh Government spokesman said it was “in discussion with the main scheme operator, CIGA, about our concerns around the adequacy and reliability of pre-installation property assessments, the need for accessible information to householders about installations and future maintenance and customer focussed claim and complaint resolution procedures”. “We are currently reviewing the conditions of authorisation for scheme operators dealing with cavity wall insulation in relation to these areas of concern,” the spokesman added. The Vale of Glamorgan Council is now stripping-out glass-fibre cavity-wall insulation which it originally installed in a number of current or former council-owned properties in Penarth. It’s an operation which appears to prove that yesterday’s energy-saving environmental fad can easily turn out to be today’s major maintenance headache. One of the operations now under way is on a terrace of pre-war two-storey properties in Clive Place and involves drilling through the outer brickwork and sucking out the glass-fibre with powerful vacuum systems. This two-week project is being undertaken by a specialist firm by ECT Cavity Wall Clearances of Risca who are busy not only in Penarth but are stripping-out unwanted wall insulation from properties across South Wales. Once all the old fibreglass insulation has been extracted and building rubble removed from within the walls, all the cavity wall ties (metal fittings which keep the two walls-skins together) have to be checked by surveyors with endoscopes to ensure they’re clear of any extraneous material. The cavity wall insulation craze began in the 1970s and by the 1990s it even became compulsory in Government building regulations but it wasn’t long before many householders found that rather than making their homes warmer, the insulation could make interior walls damp as the insulation bridged the cavityÃâÃÂ and allowed moisture to travel from the outer wall to the inner wall thereby destroying the whole point of having a cavity wall at all. The Vale Council however says cavity wall insulation can save 30% of a building’s heat loss and is now planning to install new cavity wall insulation in its properties and is no doubt hoping that it won’t be necessary to strip that new insulation out all over again in 20 years time. More than 1.5 million homes have been left blighted by botched cavity insulation work carried out to meet Government energy targets, experts say. Properties across Britain have suffered dampness and mould, causing smells, crumbling plaster and stained walls. In some cases, the value of homes has plunged. The scheme, funded by a ‘green tax’ on household gas and electricity bills, was meant to cut emissions and reduce charges by making homes more energy-efficient. But experts claim that many homes were simply not suitable for âretrofitting’ cavity wall insulation, while others were in parts of Britain where weather conditions should have precluded its use. Millions were persuaded to sign up to the scheme by the promise of cheaper bills from call-centre staff and door-to-door salesmen employed by energy firms obliged to meet Government targets. A survey of 250,000 properties by thermal-imaging company IRT found the addition of cavity wall insulation to existing homes had failed to work in a quarter of cases and problems in half the homes it surveyed. Some owners even saw bills rise. With more than six million properties having had the treatment since 1995, this suggests that as many as 1.5 million are affected. Campaigners claim some people are suicidal after their properties were left riddled with damp patches and mould as a result of botched fitting, which can take thousands of pounds to put right. Among the victims are Helen Thomson, from Cornwall, whose farmhouse suffered such serious problems after cavity wall insulation was installed that Â£30,000 of repairs are needed. And Deborah Wassell, of Southampton, had her insulation removed after furniture went mouldy and her son suffered asthma attacks. 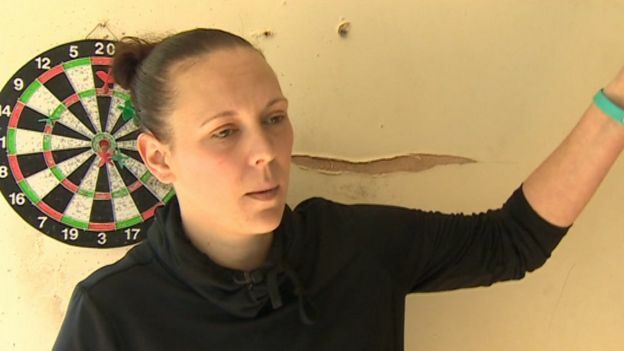 Pauline Saunders, who set up Cavity Wall Insulation Victims Alliance after problems at her home in Newport, South Wales, said: âWe’ve been inundated with people whose homes have been ruined. It has got so bad for some that they have been left feeling suicidal. Stephen Hodgson, of the Government-endorsed Property Care Association, said some homes were simply not suitable for the work as their design meant the insulation which is pumped into walls via holes drilled into the exterior brickwork acts as a bridge for moisture to cross the cavity into the house. He said: Contractors were desperate to mop up vast sums of money made available by energy firms on the back of Government green targets. Under Government rules introduced in 1994, energy firms must help improve the efficiency of their customers homes, with costs added as a levy to all household fuel bills. The cost is around four per cent on top of an energy bill equivalent to Â£47 per year on average. Many householders told The Mail on Sunday of difficulties getting compensation from the Cavity Insulation Guarantee Agency (CIGA), which was set up to pay for repairs caused by botched work. Experts also say its Â£18 million fund is not enough but the agency chief executive Nigel Donohue insisted: Customer satisfaction rates are up. Neil Marshall, chief executive of the National Insulation Association, disputed IRT findings. He said: These figures are widely inaccurate as thermal cameras in isolation are ill-equipped to assess the effectiveness of cavity wall insulation. However, he admitted that at least 13,000 of the six million CIGA-guaranteed homes had reported problems. An Energy Department spokesman said that Government programmes required companies installing insulation to be accredited and to provide a guarantee. Brendan O’Brien, from Plymouth, fears his semi-detached house will fall down around him, his partner and their three children because the walls are so waterlogged after cavity wall insulation was installed in 2004. We are in a living hell, said the 44-year-old. The house has become so waterlogged it has cracked the gable end of the house. The front window is about to fall out. There is serious structural damage and there is no point in decorating or putting down carpets because it all gets ruined in the damp. A worker came out to look at it. He drilled into the wall and water was pouring out. It has collected like a sponge between the walls. Helen Thomson, 56, from Bude, Cornwall, needs Â£30,000 of repairs to her five-bedroom farmhouse due to horrific problems. Her late mother Patricia, who also lived at the property, was taken in by a cold-calling salesman who convinced her the house was a perfect fit for the work in 2009. But insulation should never have been carried out at the property the exposed location of the home, on a hill in a rainy rural area, meant rainwater soaked into the new insulation, leading to a chronic damp problem. Mrs Thomson, daughter Ella Gillies, 30, said: My mother has been hospitalised twice due to lung conditions and the doctor told me he thinks it was due to mould caused by the insulation. It has ruined her life. The house should never have had insulation. It was a beautiful five-bedroom farmhouse, but now it is wrecked. Deborah Wassell, 47, a school secretary from Southampton, suffered ten years of damp problems after cavity insulation was installed in her three-bedroom semi. She had the insulation removed after furniture went mouldy and her son began to suffer asthma. Yet she doesn’t blame the installers, saying: This scheme was being pushed by the Government and energy firms.